This year we will have two seatings for New Years Eve! 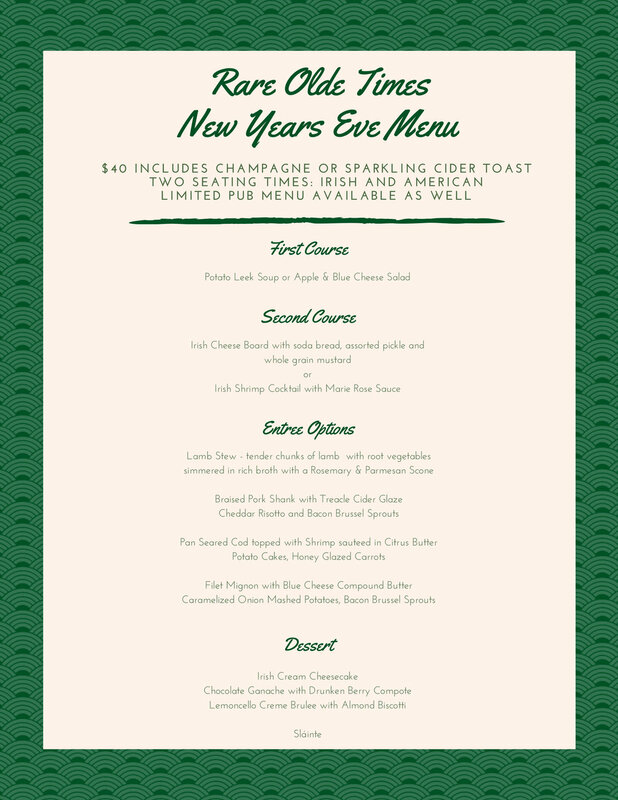 Our delicious NYE four course menu will be available with a special countdown toast. Irish New Years! (Seating 4:30-6:15) Irish New years in Ireland is at 7PM, our time! So what better way to celebrate than at the pub with music from Cindy & Thensome counting down. We will have a feed from Ireland of their new years celebration. This is the perfect if you want to get home before the all the Tom Foolery kicks in. Or come by for American New Years! This seating includes a champagne or sparkling cider toast (Seating between 8:15- 10:00). Featuring Pump House Blues and lots of good times. Call for reservations (804) 750-1346.